Veteran Little Rock public relations professional Heide Harrell, who left the Stone Ward agency downtown at the end of last year, has joined The Rose Law Firm as a key cog in the firm’s plans to grow its business. The firm, founded in 1820 and acknowledged as the state’s oldest active business, announced Harrell’s hiring Tuesday as director of marketing and business development. Harrell, who worked as a senior public relations account manager and brand manager for Stone Ward for nearly six years, previously held similar positions at Mangan Holcomb Partners, another Little Rock ad agency, and at Delta Trust and Bank. 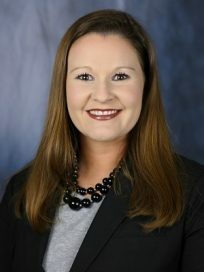 In her new job, Harrell will “oversee the strategy and implementation of all communications and marketing for the firm as well as cultivating new business relationships and exploring additional opportunities,” a news release from the firm said.